Although they are called master classes we anticipate beginners too and the instructions are very comprehensive. 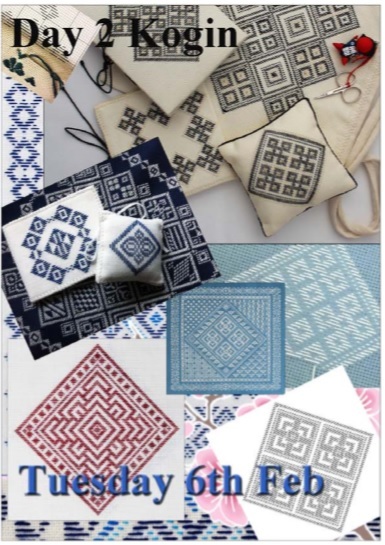 Those who have done embroidery before will probably make faster progress than newcomers, but all should have no problem finishing the projects given time. Class will start at 9.30am and finish by 3.30pm. 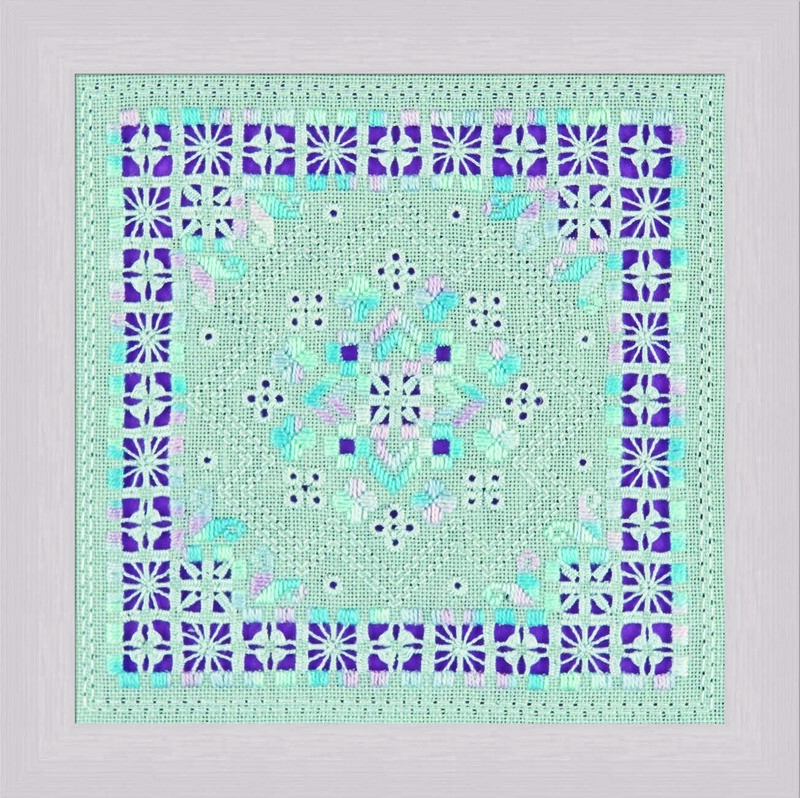 This incorporates the use of colonial knots and stem stitch together. 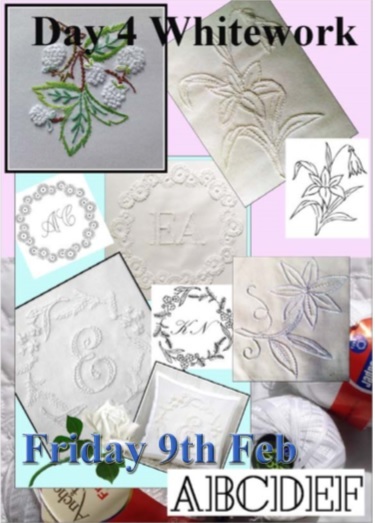 Whilst doing this class you will also learn how to trace designs onto your fabric. Using 28 count Annabelle fabric and Caron Watercolour threads that change colour along their length the effect is quite simple but stunning. 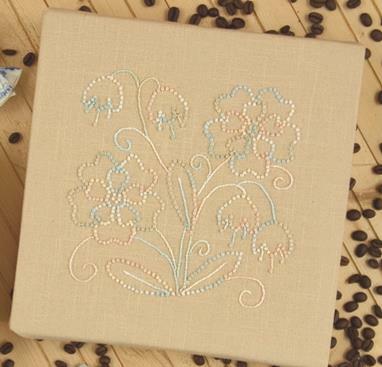 A free hand style of embroidery that utilises stem stitch, satin stitch, feather stitch and French knots to great effect. 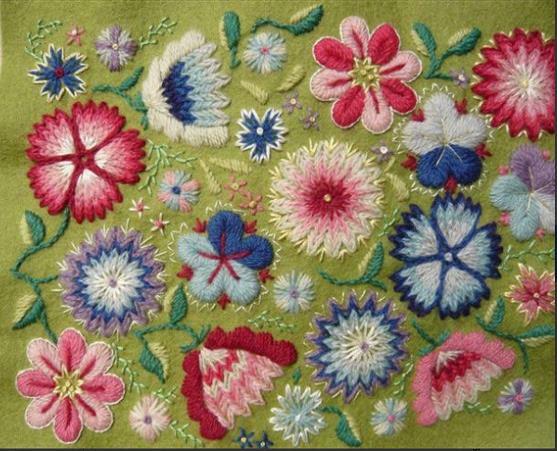 It is sewn on felt using 13 colours of Appletons Crewel wool and the finished size can be up to 8 x 12 inches. This class gives you the chance to experiment and will be good fun. A counted technique with a difference. 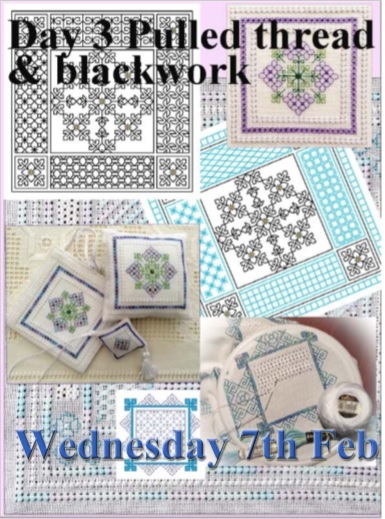 Each square is filled in with a pattern using chain stitch, fly stitch, straight stitch and French knots using 14 different colours in a variety of combinations. This is sewn on 28 count even weave using anchor stranded cottons. 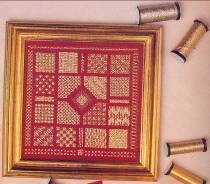 This is a spectacular project sewn on Red 14 count Aida using 3 of the Krenik range of gold metallic threads namely Cord, fine braid and 1/16th ribbon. 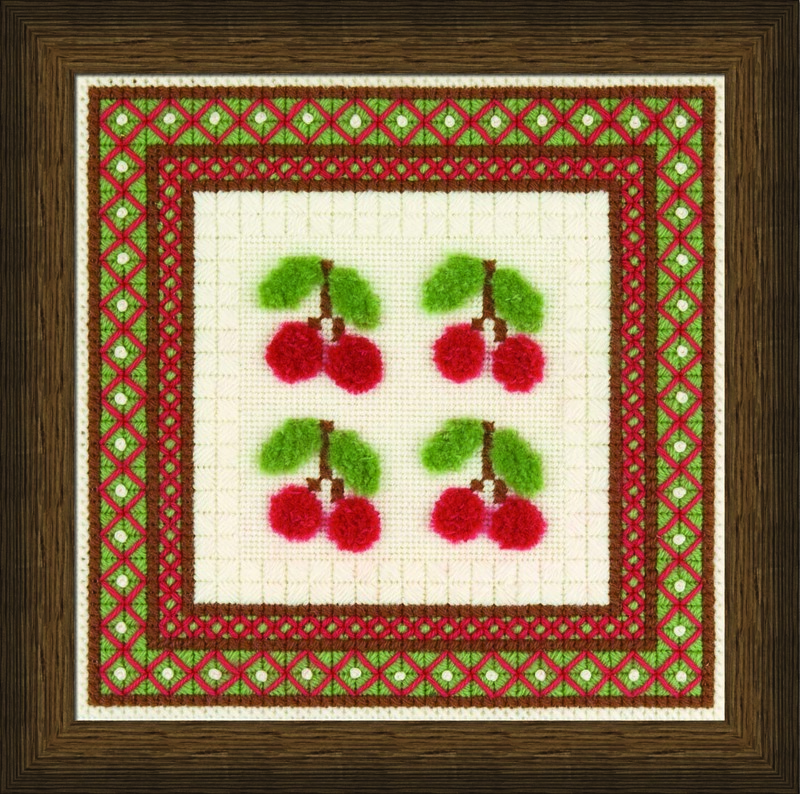 Each section in the completed sampler is a different pattern and stitch. Whilst this project has the most variety of stitches it is also a joy to stitch due to the ease of using aida and the very clear concise instructions. Koala Conventions organize two to eight day Workshop Events in Brisbane and Perth, featuring classes by leading designers & tutors in Hand Embroidery, Ribbon Embroidery, Textiles, Stumpwork, Goldwork, Knitting, Crochet, Felting, Beading, Framing & much more. Koala Conventions has been operating for 11 years. Every July over 20 tutors join them for more than 80 workshops. Read more……. Pamper yourself by mastering your hobby…. 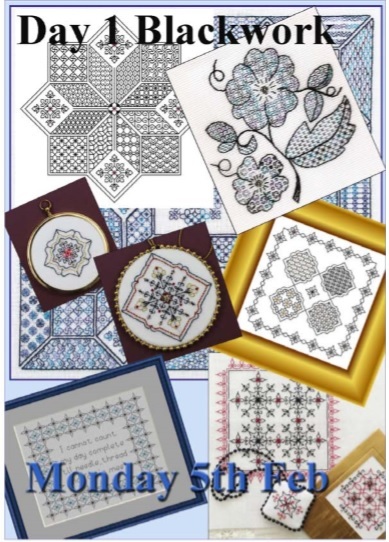 The Royal School of Needlework continues to influence and promote needlework today. 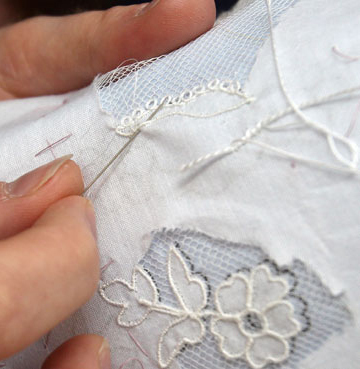 For people who are passionate about stitching, who enjoy needlework and it is their hobby for them RSN offers day classes. 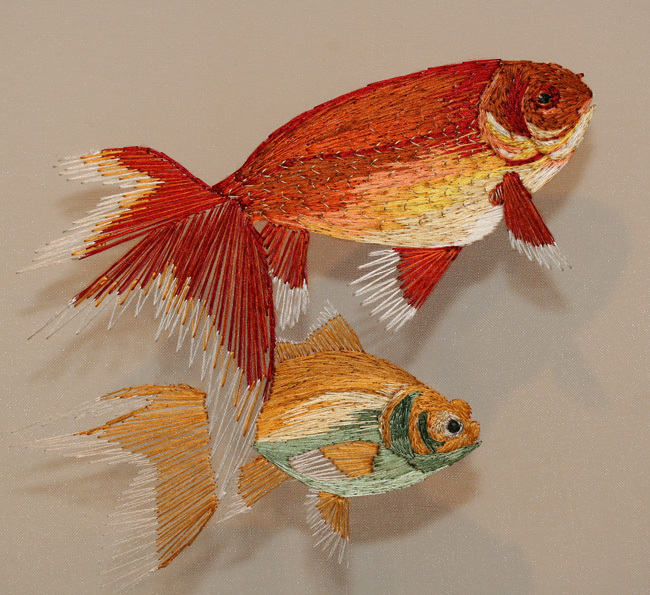 These classes focus on specific embroidery techniques. They offer introduction courses for beginners and refreshers, specific technique classes to learn and master them, progress classes to develop further and increase stitching skills. These classes are scheduled for 1 to 6 days depending on the course. The beautiful broucher of RSN day classes (PDF) shows an amazing list of short classes offered this year. Visit the RSN website for more details. 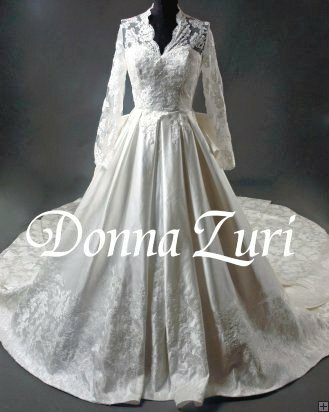 Would like to share some information of the beautiful applique work done by the RSN embroiders on The Duchess of Cambridge’s beautiful Wedding Dress. The lace bodice design was hand-made using a technique that originated in Ireland in the 1820s called carrickmacross, which involved cutting out rose detailing (symbolising England), thistles (Scotland), daffodils (Wales), and shamrocks (Ireland) individually applying them to the ivory silk tulle.